1. The size of the laser agglomeration of the laser generator of the laser die cutting machine. If the spot is very small after the aggregation, the cutting precision for the laser die cutting machine is very high, and the gap after the cutting is also very small. This shows that the precision of the laser cutting machine is very high and the quality is very high. However, the beam of the laser die cutting machine emitted by the laser is tapered, so the slit is also tapered. Under this condition, the greater the thickness of the workpiece, the lower the accuracy, so the larger the slit. 2. The accuracy of the workbench. If the accuracy of the table of the lase die cutting machine is very high, the precision of the cutting for the laser die cutting machine will also increase. Therefore, the accuracy of the workbench is also a very important factor in measuring the accuracy of the laser generator of the laser die cutting machine. 3. The laser beam of the laser die cutting machine is condensed into a cone. 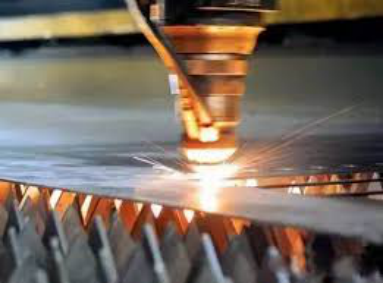 When cutting, the laser beam of the laser die cutting machine is tapered downwards. If the thickness of the workpiece to be cut is very large, the cutting precision is lowered, and the cut gap is very large. 4, The cutting materials are different, it will also affect the accuracy of the laser die cutting machine. In the same situation, the precision of cutting stainless steel installed in the laser die cutting machine and cutting aluminum will be very different, the cutting precision of stainless steel will be higher, and the cut surface will be smoother. In general, laser cutting quality of the laser die cutting machine can be measured by the following six criteria. < How to choose the right laser for laser die cutting machine?